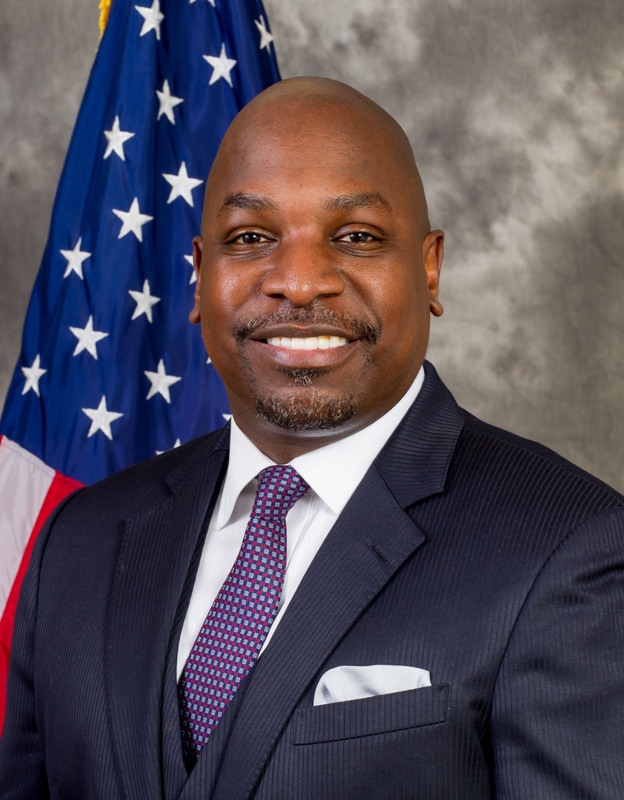 Nicholas M. Bassey is Division Chief, Frontier Partnerships for the U.S. Agency for International Development’s Global Development Lab (the Lab). This new team will strategically foster the Lab’s Center for Transformational Partnerships’ “disrupt” portfolio through alliances with non-traditional stakeholders. The team also seeks to develop innovative ways to leverage and unlock private sector capital for international development. Prior to this role he led the Research and Innovation Fellowships program also at USAID, which builds models for knowledge exchange by connecting Americans with key organizations in developing countries to collaboratively apply science, technology, and innovation to complex development challenges. 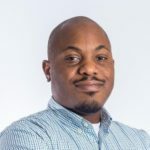 Emeka Afigbo leads Facebook’s Product Partnership efforts in the Middle East and Africa focused on driving Facebook strategy through global programs and strategic product integrations with partners. 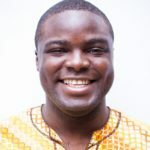 Prior to Facebook, Emeka led Google developer community initiatives in Sub-Saharan Africa as part of the Africa and the Middle East Developer Relations team. He started his career as a software engineer at Socketworks and also led strategic initiatives at Parkway Projects both in Nigeria. 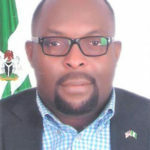 Wale Ayeni leads venture capital investments in Africa on behalf of the IFC, the International Finance Organization is part of the World Bank Group. He has over a decade of global technology experience spanning several roles including Venture Capital, Investment Banking, Corporate Development, and Microprocessor & ASIC chip design. Prior to the IFC, Wale led venture capital early-stage investments in disruptive startups across various technology sectors for Orange in Silicon Valley with representative investments in the US including PayJoy(FinTech), Veniam(Mesh Networks), Chain (Blockchain), WEVR (Virtual Reality). He also led transactions on behalf of EchoVC in Hotels.ng, and Primitivo. Taffi Ayodele co-founded Thando’s, a Lagos and NY based footwear design and distribution company that provides a platform for African artists’ to co-design shoes for women that are comfortable, convenient, stylish and affordable. Thando’s seeks to have a positive impact on the image of the African continent across the globe. 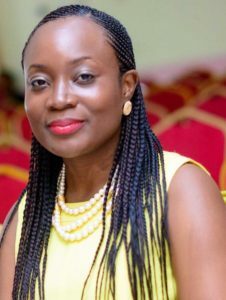 Mrs. Ayodele was the 3rd place winner for the inaugural She Leads Africa Startup Competition in Lagos and was listed in Forbes as one of the 10 Emerging Women Entrepreneurs to Watch in Africa. 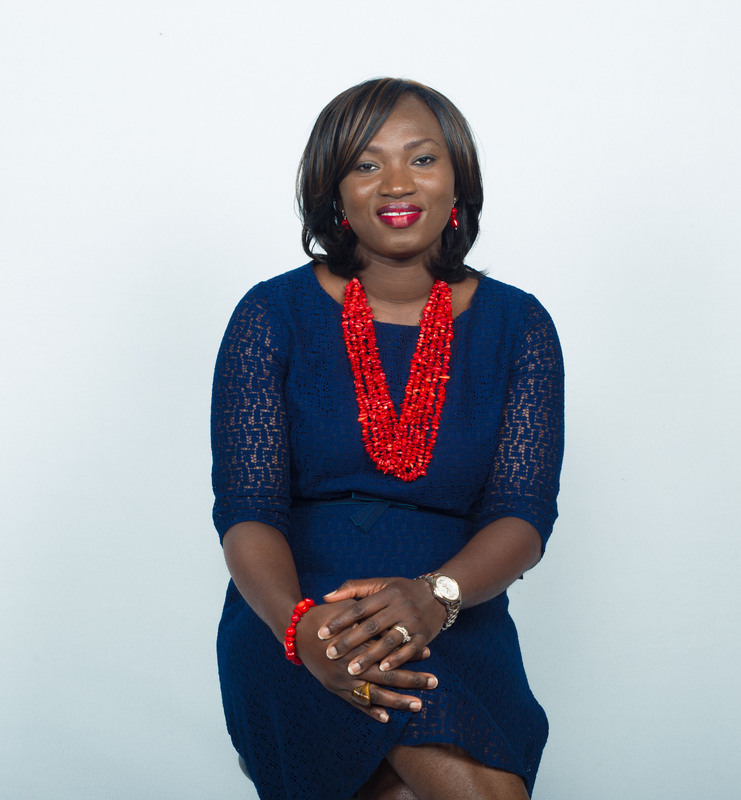 Mrs. Ayodele holds an MBA specializing in Global Business and Entrepreneurship and a BA in Economics from NYU. 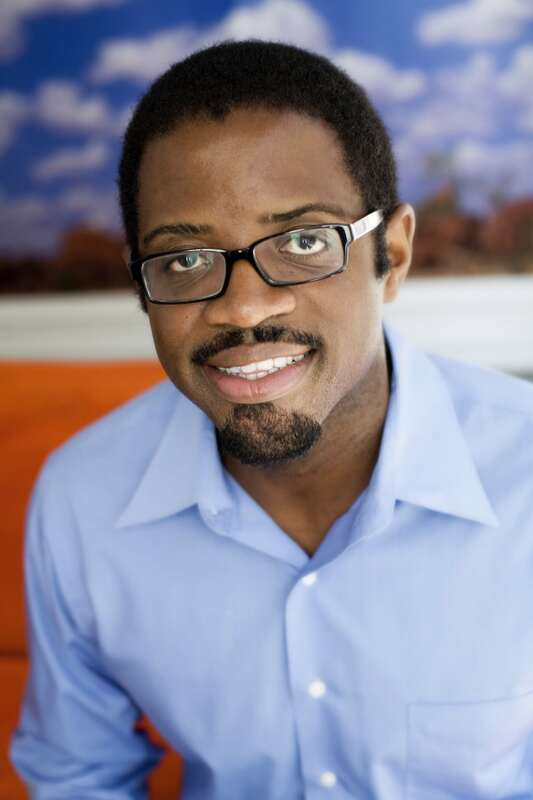 Chinedu Echeruo is the Founder and CEO of Gigameet.com, a platform that streamlines and facilitates meetings between people globally. Prior to starting Gigameet, Mr. Echeruo founded two U.S-based internet companies; HopStop.com and Tripology.com. Tripology.com was acquired in 2010 by Rand McNally and is now owned by USA Today. HopStop was acquired by Apple in 2013. He was also named Black Enterprise Magazine’s Small Business Innovator of the Year and listed in the magazine’s Top 40 under 40. He holds an M.B.A. from the Harvard Business School and B.S in Finance and Accounting (Honors) from Syracuse University. 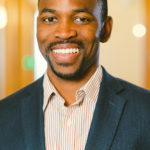 Ugwem I. Eneyo is the co-founder and CEO of Solstice Energy Solutions, a start-up company specializing in leveraging internet of things, software and data-driven approaches to help African homes and small business find reliable, clean and cost-saving energy solutions. Solstice has developed the SHYFT, an integrated hardware and software platform that helps users save money on energy and easily manage consumption. Ms. Eneyo’s Nigerian heritage created a strong passion for addressing the challenges and opportunities across the African continent. As a PhD student in Civil and Environmental Engineering at Stanford University, she focuses on the nexus of energy, environment and sustainable development of emerging markets. Iyinoluwa “E” Aboyeji is a Nigerian impact entrepreneur who co-founded Fora, Andela, and Flutterwave; internet-based platforms for e-learning, job creation and payment facilitation. Each of these ventures enable Africans to build a brighter future and has been backed by American investors. 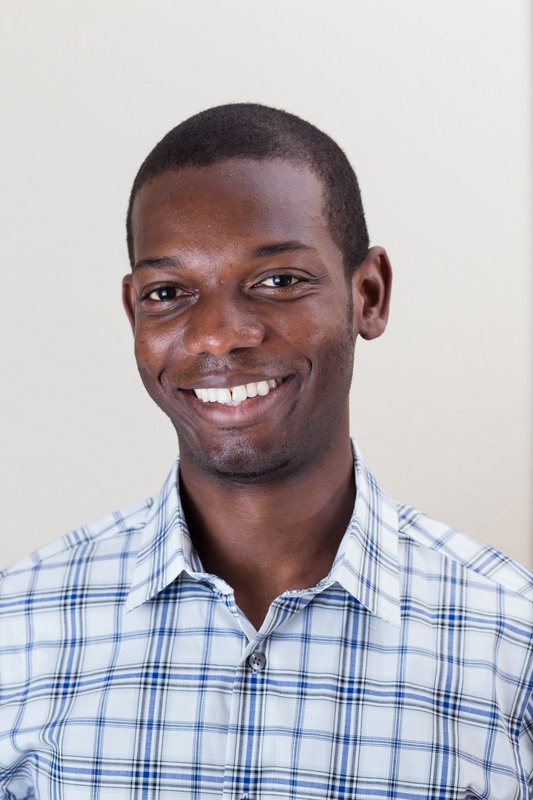 As the Managing Director of Flutterwave, Iyinoluwa is building one API that processes payments between global merchants and African businesses, across card, bank and mobile platforms, in over 30 African countries and 150 currencies. He was named a World Economic Forum Global Shaper in 2012, and a Forbes 30 under 30 Most Promising Young Entrepreneur in Africa in 2015. Jo Addy is Principal of Continuum Advantage, a strategic advisory service. A design strategist and PhD-trained economist, Jo serves on the board of PATH, the global health technology innovator, and is a Manager of Plebys International, the investment firm that launched WaterHealth International in 2005. WaterHealth now sustainably provides clean water to over 7 million people in underserved communities globally. Supporting organizations and clients focused on social justice through innovation, Jo currently serves as Director, Business Development for ADN. Damilola Agboola is a Certified Cost Professional – Certified by the Association for the Advancement of Cost Engineering International (AACEI) with multiple Major Capital Project experience in the Oil and Gas and Energy Industry with Owner Operators and Service Providers. He has been part of the Project Management Team that executed complex projects such as the Escravous Gas to Liquid Project in Nigeria, The Lianzi Project in Angola and the Papa Terra Tension Well Leg Platform in Brazil utilizing his educational background in Management and Supply Chain Management from the University of Houston, Texas. Layi Ali-Ajibode is a corporate & securities attorney based in Mayer Brown’s Houston office. His practice concentrates on international mergers and acquisitions, corporate governance, private equity and venture capital transactions as well as general corporate matters for start-up, technology and emerging growth entities. A member of the firm’s global Africa group, Layi represents clients on inbound and outbound transactions throughout Africa, especially foreign entities and investors looking to conduct business in Africa or seeking to expand their existing operations on the continent. Layi earned his JD and MBA from the University of Virginia School of Law, and Bachelor of Laws (LLB) from the University of Leicester, UK. 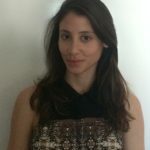 Yara Akkari is a Project Coordinator for Arc Finance, managing the implementation of a business model to promote the use of remittances as a means to purchase clean energy in Haiti. Yara has spent her career in the development sector in a range of different capacities including governance, social development, microfinance, renewable energy and culture. Most recently, she worked as a consultant at Eko Green in Nigeria. Her work at Eko Green contributed to the implementation of innovative organic farming and low cost ecological housing in Africa. Before this, Yara served as a project management and research consultant for various UN agencies. 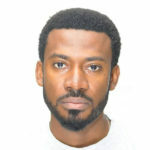 Idris Bello is a Partner at LoftyInc Allied Partners Limited and co-founder of The Wennovation Hub, an innovation platform based in Nigeria, which has successfully accelerated the launch of over a dozen start-ups in healthcare, education and e-commerce, creating jobs and raising seed funds locally and internationally. 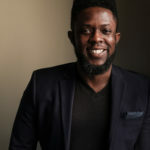 Listed among CNN’s Top Ten African Technology Voices, Idris holds advanced degrees in computer science, business administration, and global health from the University of Houston, Rice University, and the University of Oxford, UK respectively. 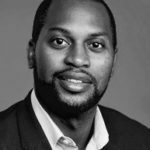 Idris spent the greater part of a decade working at Chevron Corporation and ExxonMobil USA, leading large upstream technology projects. 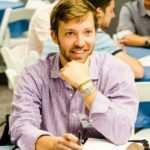 Ryan Derfler is the Director of Client Experience (CX) at Geneva Global. 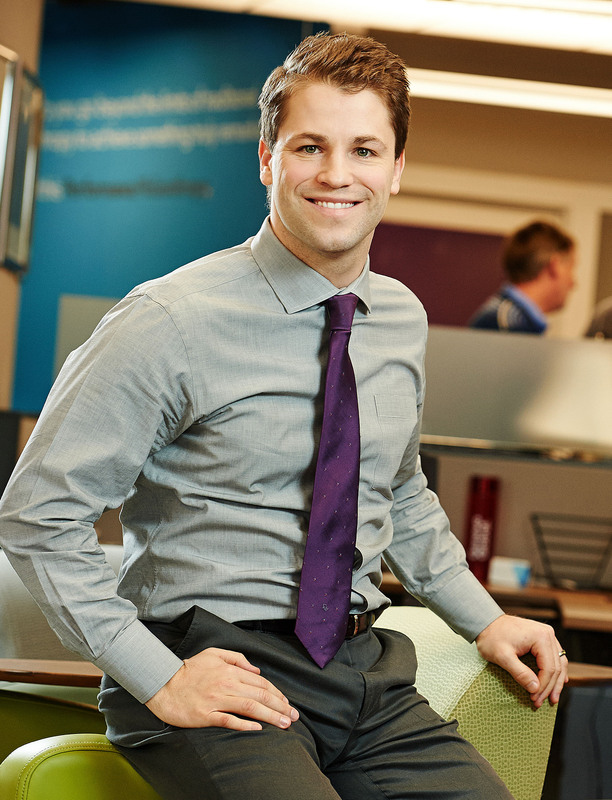 As part of the business development team, Ryan helps philanthropists learn how to leverage their investments for maximum social impact using Geneva Global’s full spectrum of services. Working from Geneva Global’s headquarter office, Ryan provides guidance to individuals, corporations, and foundations seeking the next generation of philanthropy and corporate social responsibility (CSR). Prior to joining Geneva Global, Ryan spent eight years in business development for Cityteam International and the City of Philadelphia Mural Arts Program, where he built an arts and culture tourism social enterprise. Twum Djin is the Chief Technology Officer at Goodwater Capital, an early-stage venture capital firm focused exclusively on consumer tech companies. He heads the firm’s technology strategy, and works with Goodwater’s portfolio of companies. Prior to Goodwater, Twum was an engineer at Google for 8 years. While at Google, Twum lead the development of Google’s consumer payments platform, building a large scale service that would power Google Play, Youtube and Google Apps payments, processing over $8B in transactions annually. Twum holds a BA in Computer Science from Dartmouth College, and an MSc. in Software Development Management from Carnegie Mellon University. With 20 years’ experience in technology and startups, Chris Folayan founded MallforAfrica and MallfortheWorld. The award-winning global e-commerce company enables Africans and people in emerging markets purchase billions of products from over 200 of the best US and UK online retailers. Folayan also sits on several boards globally and serves as Chairman of the Board of the African Diaspora Network, one of the largest US-based African diaspora networking groups focused on promoting economic development. Prior to MallforAfrica, he was the Founder and CEO of OCFX Inc. a globally recognized software and web design agency in the Silicon Valley. Doug Galen is the CEO and Co-Founder of RippleWorks Foundation, which connects leading expertise from Silicon Valley and the larger tech sector with promising social ventures around the world. He also currently is a Lecturer in Entrepreneurship at the Stanford Graduate School of Business. Previously, he served as Chief Revenue Officer at Shopkick, a mobile app startup that was bought by SK Telecom. Prior to Shopkick, he was SVP of Business and Corporate Development at Shutterfly, where he helped grow revenue from $50 million to $500 million. He also served as VP and GM of New Ventures at eBay. C.D. Glin is the President & CEO of the U.S. African Development Foundation (USADF), an independent U.S. Government agency established by Congress to support and invest in African owned and led enterprises which improve lives and livelihoods in poor and vulnerable African communities. With staff, offices, operations in approximately 20 countries, and utilizing the principles of venture philanthropy, USADF provides seed capital, in the form of direct grant funding, and local implementation and advisory assistance to start-ups and early stage African social enterprises, entrepreneurs, and grassroots cooperatives. 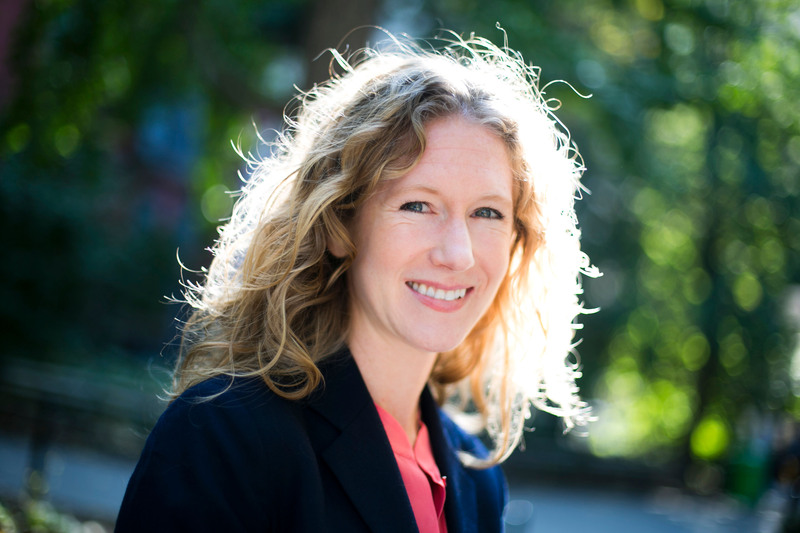 Heather Grady is a Vice President at Rockefeller Philanthropy Advisors, based in the San Francisco office. She leads the organization’s strategy and program development in global philanthropy, including collaboratives, global programs, research, publications, and other initiatives, as well as expanding efforts on impact investing and supporting an impact economy. Over the last year she helped create, catalyze and launch the SDG Philanthropy Platform, whose work is curated and available at SDGFunders.org. Heather tackled community-level and policy challenges firsthand in East Asia, Africa and the Middle East during two decades of development and human rights work. 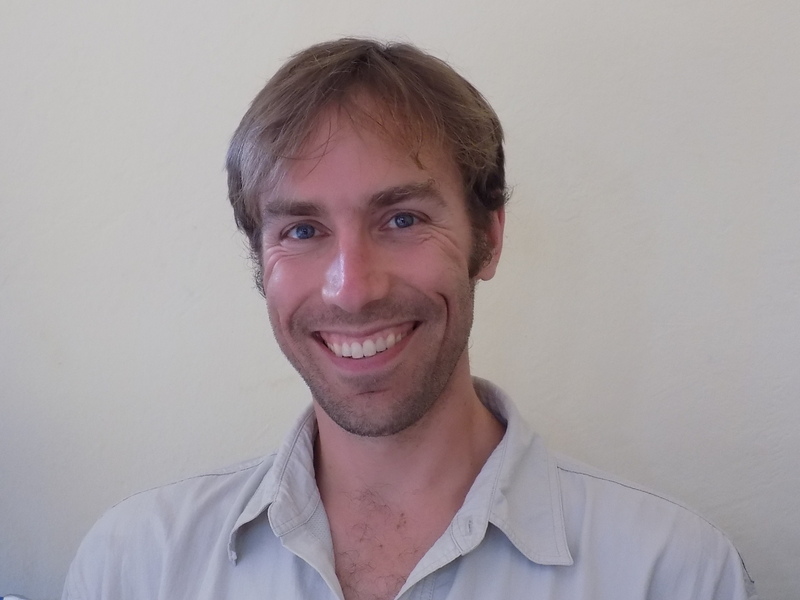 Dr. Olaf Hahn is the Founding Director of ESSA – Education Sub Saharan Africa, a recently created Charity domiciled in the UK. He has been appointed to this position in May 2016. In parallel, he is working with the Robert Bosch Foundation in Germany, one of the largest foundations in Europe where he serves as Senior Vice-President and Director Strategy. He has been with the Foundation for more than 10 years, in various positions, after having worked in sales and as an editor. 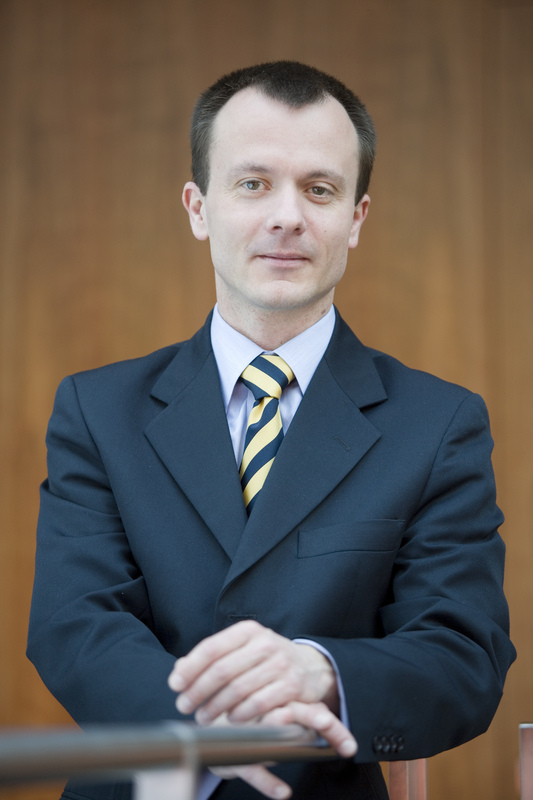 He obtained his PhD in History from Université Paris IV Sorbonne and has completed Ecole Normale Supérieure. He also has studied catholic theology. 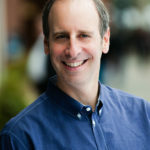 Neal Hansch is the CEO and Managing Partner at Sherpa Foundry. 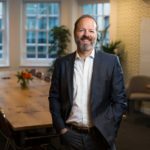 He has over twenty years of venture capital, product management, technology operations, corporate development and strategic advisory experience in Silicon Valley and beyond. Prior to joining Sherpa, Neal spearheaded the emerging market, high tech training, investment and incubation program at MEST, with a global team of over 150 people, partnerships with blue chip corporations like Samsung and Vodafone, and an investment track record in over two dozen seed stage startups since its inception. Neal earned his BA from Duke University, studied at University College London and received an MBA from the UCLA Anderson School of Management. Ashwood Heffern manages the International diaspora Engagement Alliance (IdEA) in the Secretary’s Office of Global Partnerships (S/GP). His portfolio includes the International diaspora Engagement Alliance (IdEA) and [email protected] He liaises with key internal stakeholders within functional and regional bureaus and advises on partnership development and Department policies regarding public-private partnerships. In addition to his work at the U.S. Department of State, Ashwood Heffern is the founder of TEDxTysons and runs a non-profit that is instrumental in the development of the Tysons community. Ashwood holds a BA in International Affairs from James Madison University. 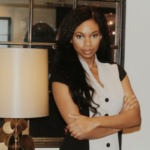 Maya Horgan-Famodu is a Nigerian-American committed to promoting entrepreneurship in Sub-Saharan Africa. She is Founder and Executive Director of Ingressive, where she has been featured in BusinessDay, Huffington Post, Bella Naija, ThisDay, The Guardian, and many others, for her work on the continent. Maya received her education from Pomona College after completing the Cornell University Prelaw Program, and worked within the banking sector of JPMorgan Chase. She conducted emerging market economic research in the Caribbean, Central American, and Sub-Saharan Africa, growing her passion for sustainable development. Before starting Ingressive, Maya supported global advancement initiatives with Steve Mariotti, Founder of Network for Teaching Entrepreneurship. Tomiwa Igun is passionate about electrifying Africa. He recently co-founded Aspire Power Solutions, a renewable energy company focused on providing clean, affordable, and reliable electricity in Africa. He currently works at BCG where he has served several clients providing strategic advisory and executing on power projects globally, including in Nigeria and other African countries. Before this, Tomiwa worked at Africa Finance Corporation. He is co-founder and President of Young African MBAs, a non-profit helping bridge the gap in Africa’s management talent. Tomiwa holds an MBA with Honors from Harvard Business School, M.Sc. Electrical Engineering from University of Michigan. 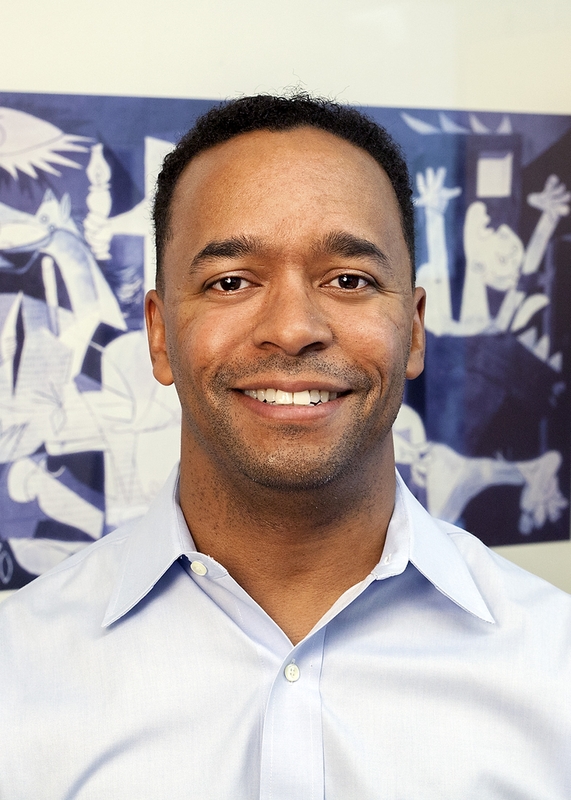 Sean Jones is the Deputy Coordinator of Power Africa, a U.S. Presidential Initiative and public private partnership that aims to bring electricity access to sub-Saharan Africa. Sean has held various leadership positions in the U.S. Agency for International Development (USAID) in Washington, Mexico, Yemen, Colombia, Iraq, and Jordan. 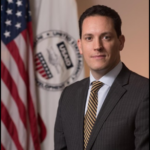 Before joining USAID, Sean was a consultant and business operations specialist in the private sector. He holds a Master’s degree in Public Policy from the University of Michigan. Chad Jordan is the author of Shut Up & Give?, ReThink Missions, and Three Jobs, as well as the co-founder & CEO of Arrow Global Capital and the founder of Cornerstone International. He is a NextGen Under 30 award winner, has been selected by the Development Diaries as a “Changemaker for Africa,” serves as a foreign policy advisor for U.S. legislation related to sub-Saharan Africa, and holds a bachelor’s and master’s degree from The George Washington University in Washington, D.C.
Dr. Musimbi Kanyoro is President and CEO of Global Fund for Women. She is an activist for women and girls’ health and human rights, and passionate about using philanthropy and technology to drive social change. Born in Kenya, Musimbi traces her passion for human rights, peace, and justice to her Quaker family and community. She is one of 10 children – every daughter given the same educational opportunities as the sons. 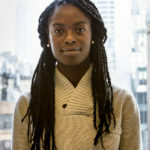 Before joining Global Fund for Women, Musimbi was Director for Population and Reproductive Health at David and Lucile Packard Foundation, managing the $30 million grantmaking portfolio. Abbey S. Kocan joined Kupona Foundation as Executive Director in September 2013. Kocan brings analytical business acumen, organizational development experience and communications expertise to the role, as well as an intimate knowledge of the programs, opportunities, and challenges facing Kupona’s sister organization in Tanzania, CCBRT. Kocan built and led a team that has raised nearly $2M in funding for CCBRT, an organization rapidly growing in size and scale. Recognizing that sustainable operations and long-term impact cannot be achieved through fundraising alone, Kupona has also mobilized technical and advisory expertise under her leadership, including consultancy teams from prominent Executive MBA programs. 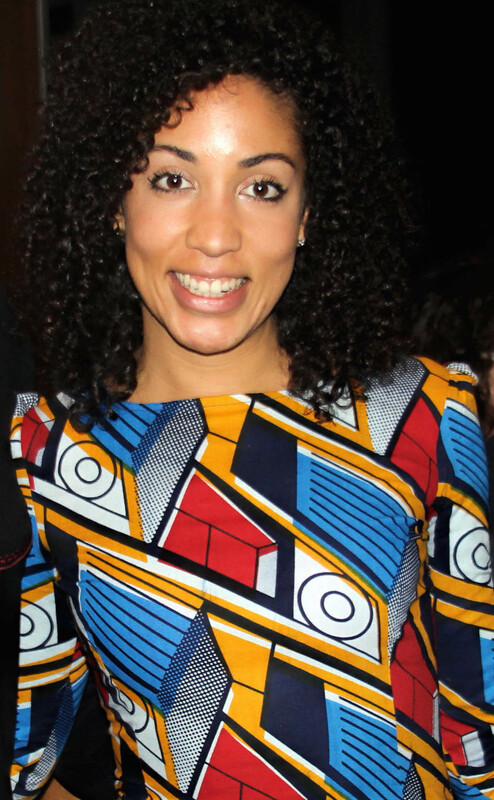 Yasmin Kumi founded AFG in 2015 to follow her passion of fostering local economic value creation in Africa. She is a Ghanaian/German senior business consultant with extensive working experience in the consumer goods and financial services sector, the research of family business groups and agriculture in African markets. 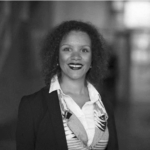 Yasmin serves as the Managing Director of Africa Foresight Group, is a Harambean (’16) and has also been appointed Executive Director of the Harambe Entrepreneur Alliance, the leading network for young talented entrepreneurs from Africa. Prior to founding AFG, she worked at McKinsey & Company for five years. Michael Kuntz, CFA is President/COO of Simusolar, an equipment financier and distributor of productive use systems for agriculture, small business, and the home. He believes that the private sector will drive energy access in East Africa, from off-grid to micro-grids, and has seen the importance that energy-access serves in enabling SME growth, having led Lagos’ leading social enterprise incubator, Generation Enterprise. His focus at Simusolar is on the economic potential of energy in smallholder agriculture. In 2013, his work on agricultural supply chains was awarded grant from IDEO and the Gates Foundation via the HCD Connect initiative. Yannick Lefang is the Founder & CEO at KASI Insight, Africa’s most innovative research and advisory company that empowers business leaders and organizations with reliable consumer data and actionable insights. KASI Insight solves problems that present challenges for most firms doing business in Africa – lack of fresh local market data, slow project turnarounds, and a need for contextual insight and innovative research methods. The company provides consumer surveys, market insights, and data-driven advice services in six countries (Ghana, Nigeria, Cameroon, Ivory Coast, Kenya, and South Africa) today in addition to innovative data products such as the KIC Score, Africa’s first monthly consumer perception score. Yemi Lawani is an Africa focused entrepreneur, investor and founder of Frontier Advisors, an internalization platform that partners with companies to rollout businesses across multiple countries in Africa. 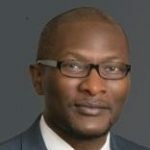 Prior to starting Frontier Advisors, Yemi spent several years at Helios Investment Partners, the largest Africa focused private equity and venture capital firm with over $3 billion under management where he worked on several acquisitions across Africa and worked closely with management teams to drive value creation initiatives. Yemi was a founding team member of Helios Towers Africa, one of the largest pan-African telecoms tower operators. He was an alternate board member of Helios Towers Ghana, Helios Towers Tanzania and Helios Towers DRC. He also served as board alternate for Mall for Africa, a fast growing global e-commerce enterprise. 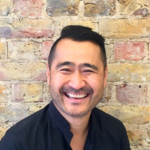 Jorn Lyseggen, is an entrepreneur, philanthropist, patent holder, seed investor, and the founder and CEO of Meltwater. He founded Meltwater in Norway in 2001, with just $15,000 and bootstrapped it to the global leader in media intelligence with 60 offices across six continents serving 25,000 of the world’s most admired brands and companies. He founded Meltwater Entrepreneurial School of Technology (MEST) in Ghana in 2008. MEST is a non-profit Pan-African training program, seed fund and incubator for software entrepreneurs, recognized in 2015 by Fast Company’s as one of the 10 Most Innovative Organizations in Africa. 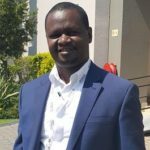 Paul Mbugua, a well-known banking ICT professional in Africa, founded Eclectics International Ltd to provide affordable locally made and supported banking automation systems. Within 6 years, the company has had over 122 employees, 200+ bank client across 21 countries. Eclectics has pioneered the introduction of profitable financial inclusion projects across many parts of Africa using low cost wide reach technologies like mobile wallet and agency device agnostic agency banking. He has been an advisor to many customers in the introduction of the same right from product design, departmental structures set up, product pricing, ICT systems implementation, Go To Market strategies. A lmaz Negash is the founder of African diaspora network (adn). in 2010, she founded adn to inform and engage africans in the diaspora in order to facilitate direct collaboration with social entrepreneurs, innovators and business leaders to invest and improve the lives of everyone on the continent. 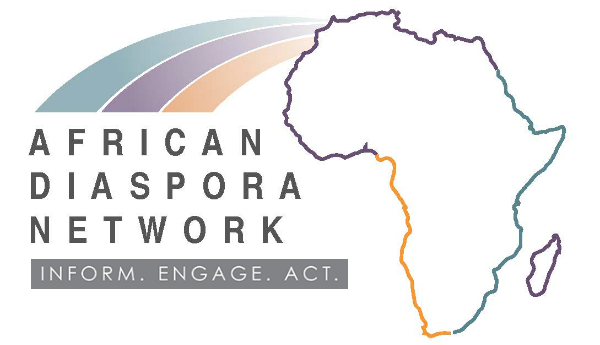 under her leadership and vision, adn is now the home of the african diaspora investment symposium (adis), an annual conference in silicon valley. 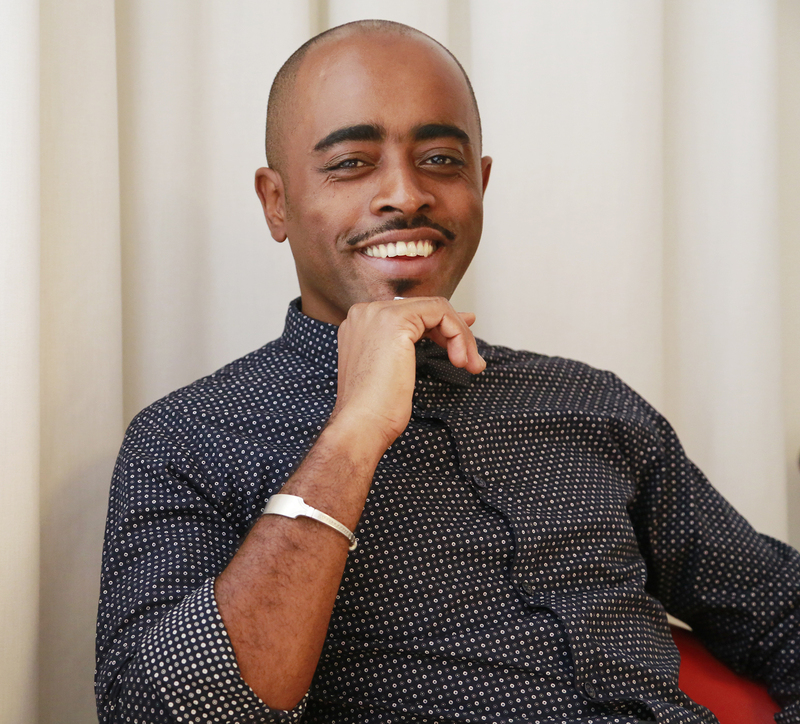 negash also serves as the senior managing director of step up silicon valley, a social innovation network and anti-poverty laboratory utilizing disruptive, research-based strategies to reduce poverty and increase economic opportunity in silicon valley. 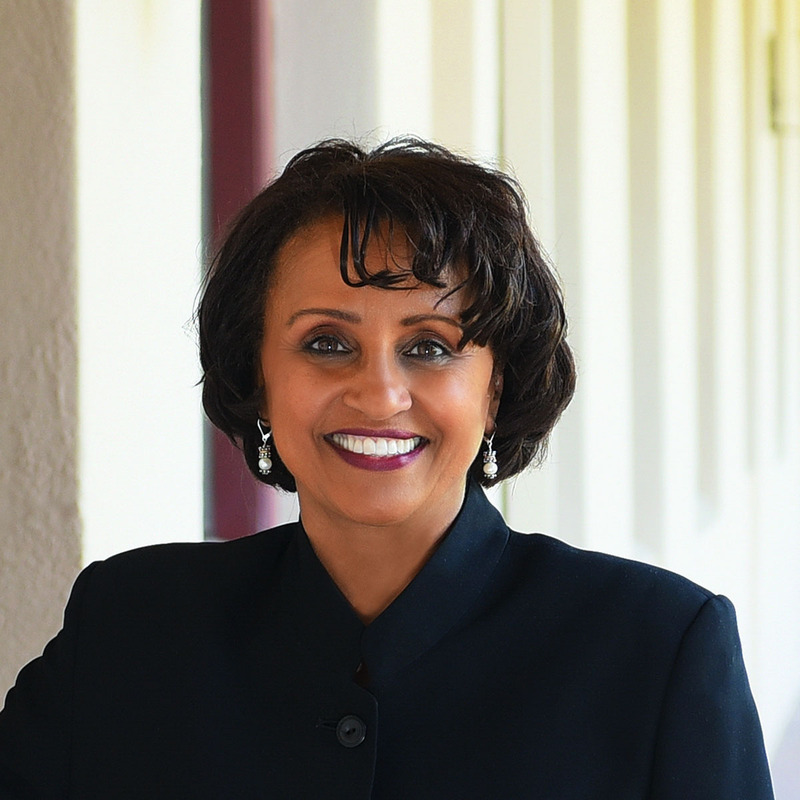 the latest of her contributions to community economic development include her leadership in step up silicon valley’s exploration and incubation of pay for success (aka social impact bond), a new model of social innovation financing that resulted in a $6 million project to reduce homelessness in santa clara county. 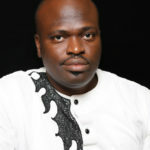 Michael Oluwagbemi is a serial social entrepreneur with a passion for business development. In 2008 he co-founded an innovation development company, LoftyInc Allied Partners, which drives technology adoption and operates the Wennovation Hub accelerators in Nigeria. Michael is a Trustee of Nigeria’s Occupational Health, Safety & Empowerment Centre, a Steering Committee of the Lagos Angel Network, and the Chairperson of AfriLabs: the umbrella body for African incubators/accelerators. He holds professional certifications as a Project Manager and Engineer. Michael earned Masters degrees in Electrical Engineering from the University of Houston in Texas and in Business Administration from the University of London. Mary Olushoga is the founder of awpnetwork.com, a platform powering small business success for African entrepreneurs. A multi-tasking networker, mentor, writer, small business advocate and change agent. 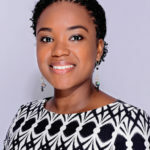 Olushoga holds a bachelor’s degree from Union College in Schenectady, New York, a Master of Science Degree from Baruch College and has served as a public policy fellow at the University at Albany, Center for Women in Government and Civil Society. A mix between a PR consultancy and small business development service, The AWP Network shares startup stories of African entrepreneurs, organizes events, webinars, and clinics, and creates opportunities to connect with business experts in marketing, tech and HR fields. 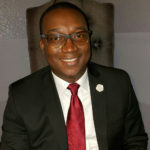 Dr. Omofoman Daniel is the Co-Founder of RFID African Foundation, a Pan-African not-for-profit organization dedicated to the development of RFID standards, best practices, training & awareness. 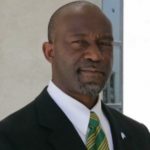 Dr. Omofoman is also the Regional Director – International RFID Business Association, Centre Director RFID Research and Development Centre, African University of Science & Technology; a Nelson Mandela Institution. Daniel has made presentations at a number of conferences addressing topics affecting African technological advancement, as well as challenges facing African countries integration infrastructures. Daniel received his MBA from Robert Kennedy College Zurich and he was awarded an Honorary Doctorate Degree by the Commonwealth University and London Graduate School. Toro Orero is the Managing Partner of DraperDarkFlow, a Silicon Valley-based VC (backed by Tim Draper; Founder, DFJ) for African startups that can change the world. He is considered one of Silicon Valley’s and Africa’s youngest VCs. He is a curious and open explorer, plays too much, and wants to be the first human to high five an alien. DraperDarkFlow.com | ToroOrero.com. Eric Osiakwan is the Managing Partner of Chanzo Capital, and a Tech Entrepreneur and Angel investor with 15 years of ICT industry leadership across Africa and the world. He has worked in 32 African countries setting up ISPs, ISPAs, IXPs and high-tech startups. He Co-Foundered Angel Africa List, Angel Fair Africa and currently serves on the board of Farmerline, Forhey, Teranga Solutions, Siqueries, BisaApp, Wanjo Foods, Ghana Cyber City, WABco, Amp.it and SameLogic – some of which are his investment. 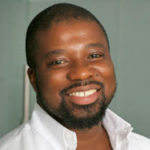 He has founded and built companies and organizations including GNVC, GISPA, AfrISPA, Internet Research, InHand, PenPlusBytes, African Elections Portal, FOSSFA and Ghana Connect. Stephen Ozoigbo is a serial entrepreneur, investor and advisor to multiple technology startups. 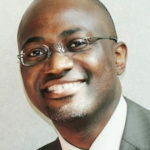 He is currently the CEO of the African Technology Foundation, and the Managing Partner of [email protected], an initiative of the US State Department. 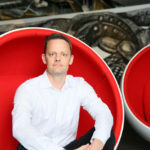 In these roles, he oversees a myriad of stage agnostic technology projects on the continent and actively supports the efforts of Africa’s emerging entrepreneurs. In partnership with a number of Pan-African focused initiatives, the ATF and [email protected] support signature platforms and activities that launch innovative technology companies in Africa. Stephen also serves as an International Advisor for Relativity. Hafeeza E. Rashed is the Senior Advisor, Communications and Outreach at the King Baudouin Foundation United States. 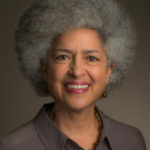 At KBFUS, she is responsible for the outreach to individual donors and the development of our partnerships with African nonprofit organizations. Hafeeza joined KBFUS in 2015 from the Gbowee Peace Foundation USA where she spent three years as an Officer of Strategic Partnerships. She worked closely with Nobel Peace Prize winner Leymah Gbowee and oversaw the establishment of the Gbowee Peace Foundation Africa, a nonprofit based in Liberia. Hafeeza earned her Bachelor of Arts degree from Spelman College, and her JD from the University of Richmond. 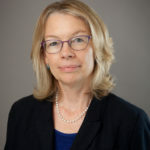 Dr. Liesl Riddle is an associate professor of international business and international affairs at the George Washington University School of Business. She also is the co-director of GWSB’s OntheBoard program, a fellowship program designed to promote women on corporate boards. Dr. Riddle has written extensively about diasporas and development, international entrepreneurship, and trade and investment promotion. Having examined diaspora investment and entrepreneurship for over 20 years, Dr. Riddle has conducted research among 16 different diaspora communities in the USA and Europe originating from countries of origin in Africa, Asia, the Caribbean, Latin America, and the Middle East. She was a founding member and director of the university’s Diaspora Research Program. Dr. Riddle is a frequent guest speaker at the US Foreign Service Institute in the Near East North Africa Area Studies Program. Akin Sawyerr is the Managing Director of Feleman Limited, an impact investment and advisory firm that is focused on fin-tech across Africa and African diaspora communities. Feleman invests in and advises early stage companies in the payments, lending, investment, and remittance space. Akin founded Market Atlas, Market Atlas provides market and Investment research, and risk management solutions for underserved markets in Africa. 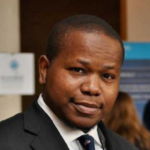 He serves as Director of Splash Mobile Money, a mobile payments company in Sierra Leone where he provides strategic guidance on all matters concerning the company. Prior to Feleman, Mr. Sawyerr spent fifteen years in management consulting and the corporate world. The Honorable Robert Sichinga Jr. is Zambia’s Honorary Consul and Chief of Post for the Republic of Zambia in California. He performs delegated functions on behalf of the Embassy of the Republic of Zambia. He was born and raised in Zambia and moved to the United States in 1996. He has been employed in the pharmaceutical industry for over 13 years in different capacities. 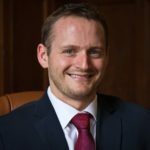 His professional background includes management, teaching as an adjunct professor in the School of Business, managed healthcare, business development and consulting. For over 15 years, Robert has exhibited an unrelenting passion for Zambia. His efforts were recognized by the Zambian government and he was subsequently appointed by the Ministry of Foreign Affairs in September of 2014 to represent Zambia. Dan Smaller is a veteran emerging and frontier markets investor and banker. He worked successfully for 20 years on the trading and sell-side around the world and the following 15 years on the buy-side in Asia and the Middle East. In investment banking, Dan built and led sales and marketing teams for Citibank, Lehman and UBS. He identified and increasingly focused on the opportunities in Emerging Markets. He was first to introduce Public Equity investors to markets from Pakistan to Peru and Croatia to Egypt. His career to date has included assignments in Bahrain, Dubai, Zurich, London, Singapore, Sydney and Hong Kong. Kendal Tyre is a Partner at Nixon Peabody and is based in their Washington, DC office. He counsels franchise, manufacturing, food and beverage, retail and financial services companies on international business transactions. Kendal represents clients in mergers and acquisitions, private equity, venture capital, joint ventures and strategic alliances, licensing and franchise matters as well as corporate law matters. Kendal is the author and editor of Franchising in Africa published by LexNoir Foundation. He serves as co-chair of Nixon Peabody’s Africa group. Kendal received his J.D. from University of Minnesota Law School and a B.A., with honors, from Brown University. Toyin Umesiri is a Nigerian-born, US-educated Technologist and Global Trade Strategist. After a brief visit to Africa in 2015 she made a commitment to use the skills she had acquired working for global corporations in the US to help foster Africa’s economic growth and further integration into the global economy. She is a Senior Manager II, Strategy & Governance at Walmart where she leverages years of ERP implementation to drive Global Back Office Strategy in collaboration with IT executives. She helps design cross-functional multi-year roadmaps and messaging and articulation of strategy to the Back Office Executive Steering Committee. Min-Si Wang oversees product development at BitPesa, a digital foreign exchange payment platform. Min-Si has a mix of private and public sector experiences, mainly in consulting and development finance, prior to BitPesa. She was a management consultant with PriceWaterhouseCoopers’ Mergers & Acquisitions practice. She also has experience in financial product development with Temasek (the Sovereign Wealth Fund of Singapore) and Planet Finance, a microfinance-focused organization. 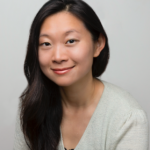 Min-Si is a graduate of The Wharton School, University of Pennsylvania, and The Fletcher School, Tufts University. 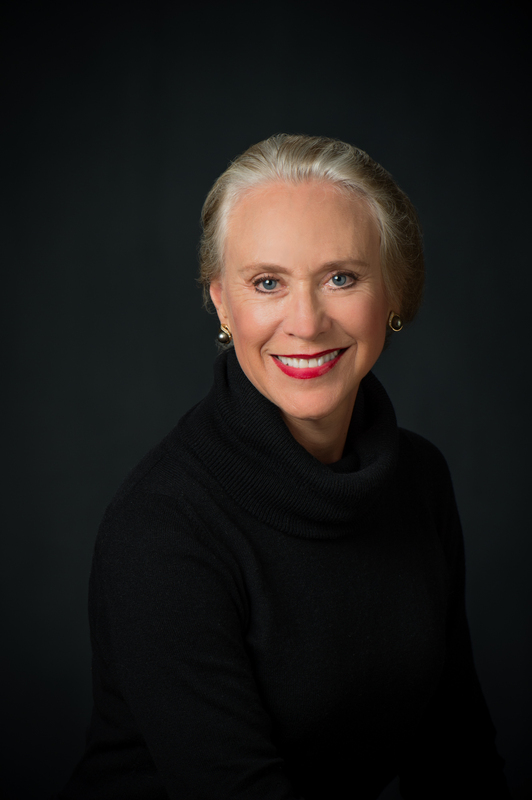 Marsha Wulff has lived or worked on six continents, building businesses from start-up through M&As and IPOs, as an entrepreneur, investor, director and advisor. She has pioneered social impact ventures and investing since the 1990’s, both in the US and across Africa, backing innovative ventures and African diaspora. Her focus now is on growing Raintree Farms in Uganda, (http://www.raintreefarms.com ) and LoftyInc in Nigeria (www.loftyincltd.biz). The Fish Wish Plan, her rhyming picture book about entrepreneurship, will be published in 2017. Marsha earned her Executive MBA in 2001 from Cox School of Business, Southern Methodist University, Dallas, Texas. 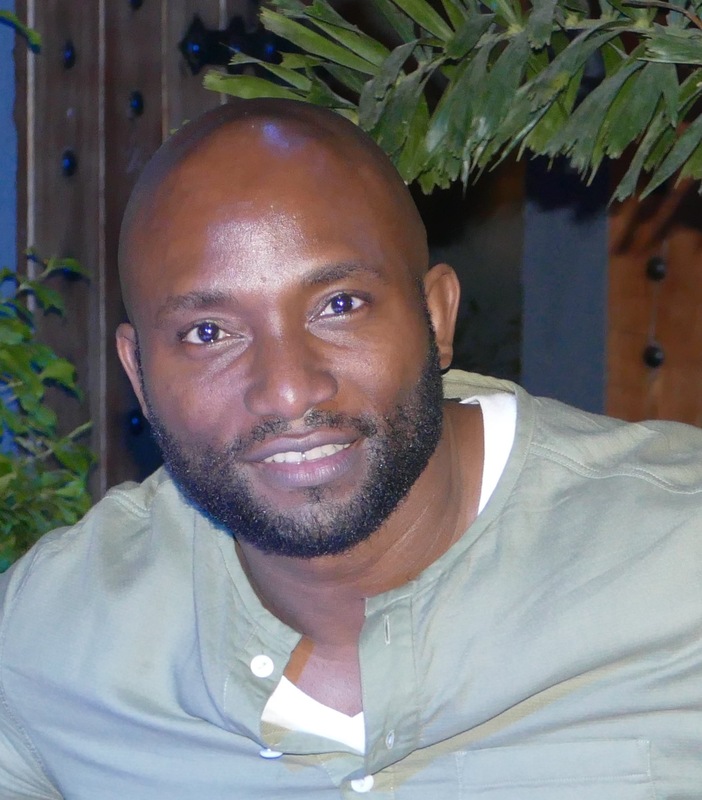 Ammin Youssouf started his tech career in the late 90’s and is the founder of the multi-awarded digital agency Big Youth. His clients were brands like Ferrari, Kenzo, Mugler, Société Générale, NRJ, Citroën, Kronenbourg. He is now Co founder of Afrobytes, the 1st Hub dedicated to African Tech in Europe. Afrobytes is a bridge between African and European tech. With its open innovation lab called “Fair Digital”, Afrobytes promotes fair trade in digital activities with African actors. He deeply believes the new raw material of Africa is the Data. For him, the future of our sustainable usages is shaped on the “Mobile First continent”.